In the school year in Australia Lent and Easter occur towards the end of Term One. Teachers have the enormous task of introducing Jesus to pre-primary students before focussing on his death and resurrection (central to the Paschal mystery). The following story is to be shared before the events of Holy Week! Did Jesus have a teddy? I hear you have been learning about Jesus. Jesus is very special. He is the Son of God and Mary. St Joseph was his foster father. As a little boy I wonder if he had a teddy bear, or a special blanket? When he was 12 years old he got separated from his mum and dad (his foster father, St Joseph). Has anyone got lost? It’s pretty scary. Let us hear what happened. The story is called Jesus in the Temple. Every year Jesus’ parents went to Jerusalem to celebrate the feast of the Passover. When the festival was finished, they would travel home with a large group of friends and family. One year, when Jesus was twelve years old, his parents suddenly realised that he was not with them. Joseph and Mary hurried back to Jerusalem. Frightened for his safety, they searched for Jesus for three days. 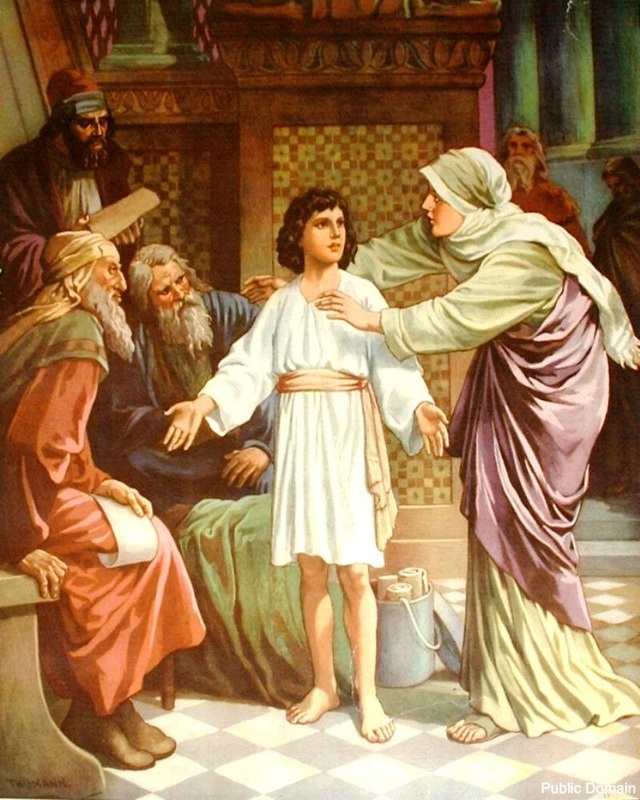 Finally, they found him in the temple where he was talking with the priests and teachers. He amazed everyone with his knowledge and wisdom. Then he went back home with them and was obedient to them. His mother Mary treasured all that had happened in her heart. And Jesus grew in wisdom and stature, and in favour with God and all people (Luke 2:41-52). How do you think Jesus felt – was he brave or was he scared? How did Joseph and Mary feel? Did Jesus like being obedient? Is Jesus God? If so, why would God need to grow up?